28.474 acres with all utilities available and access from Parmer Ln. Some flood plain. Not zoned. In the 1 mile ETJ of Austin. 2 Parcels on the TCAD. 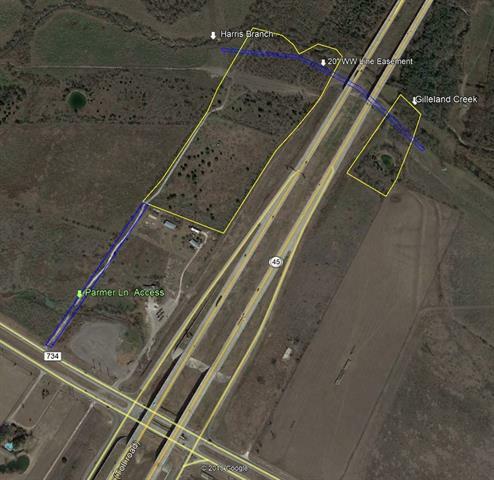 1.23 acre parcel provides access from Parmer to the 23 acre parcel on the west side or SH 130. SH 130 divided this tract leaving approximately 4.5 acres on the east side of SH 130. Contact agent for showings. Unsure of access and utilities to the east side parcel. Disclaimer: All information deemed reliable but not guaranteed and should be independently verified. All properties are subject to prior sale, change or withdrawal. Neither listing broker(s) nor Keller Williams Austin Northwest shall be responsible for any typographical errors, misinformation, misprints and shall be held totally harmless. Database last updated 04/20/2019 4:10:31 AM.